Da Vinci Dental Specialists is proud to offer full Clear Correct Clear Braces for $2,499 until August 31st, 2017.
Financing available as low as $99/month. Call 215-383-6700, or just send us a message and we will contact you to set-up a free, no obligation consultation with Dr. Burdo to see if Clear Braces are right for you. One of the primary concerns people often have about dental braces is the aesthetic impact of the metalwork on their smile. Especially for adults, the prospect of wearing unattractive metal braces for long periods of time can be very discouraging. 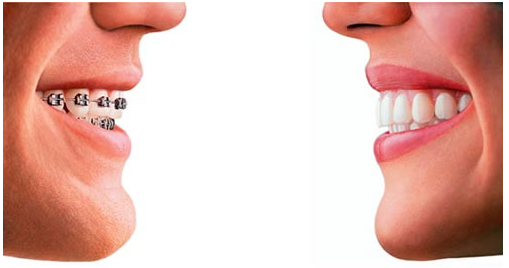 Clear Braces offer an almost invisible aligning system that straightens teeth fast and contains no metal. Clear Braces treatment consists of a series of custom-made aligning trays. The dentist changes the trays every several weeks to fit the new tooth configuration. In addition to the reduced visual impact, Clear Braces aligning trays can be temporarily removed for important occasions – meaning that treatment duration is patient-controlled. A great number of people report complete satisfaction with both the Clear Braces treatment and the stunning results. Call Da Vinci Dental Specialists in Warminster, PA @(215)383-6700 to schedule a free consultation and see if Clear Braces are right for you!